The Executive Committee serves as the governing body of the Academy and is the final authority for all policies of the Academy. The Executive Committee is composed of the current AAA Executive Committee Members. The Awards Committee recommends candidates for the Academy's Distinguished Service Awards, Kim Rotzoll Award for Advertising Ethics and Social Responsibility, "Sandy" and Billy I. Ross Awards. Nominates and selects annual Outstanding Contribution to Research awardee. This ad-hoc committee is responsible for overseeing the associations' communications. The Finance Committee advises the Executive Committee on handling of monies and audits the Academy finances. Members may not be on the Executive Committee currently or in the past three years. The Global and Multicultural Committee is responsible for examining the proper role of the Academy in international advertising education. The Membership Committee promotes membership in the Academy. The Nominating Committee prepares a slate of officer nominations, conducts the election, and recommends candidates for Academy Fellows. Consists of the past three Presidents of the Academy. 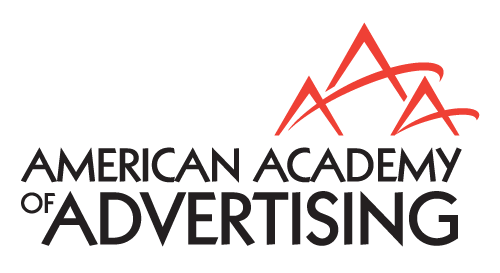 The Publications Committee makes policy, oversees Academy publications (including the Journal of Advertising, the Journal of Interactive Advertising), and selects the annual Journal of Advertising Best Article Award. By AAA Constitution By-laws (Article I-7), comprised of nine members, serving staggered four-year terms. The Research Committee encourages research by members, solicits applicants for Academy research grants and dissertation awards, and selects the awardees.